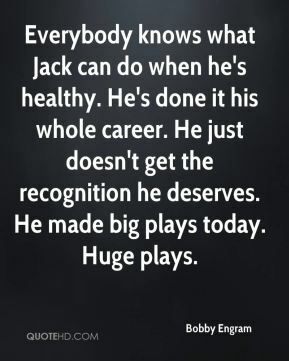 Everybody knows what Jack can do when he's healthy. He's done it his whole career. He just doesn't get the recognition he deserves. He made big plays today. Huge plays. Making plays. Keeping his poise. All the little intangibles that you talk about. He's really controlling the team offensively right now. They (Washington) tried to do some things to mix us up, but I thought we did a good job of keeping our poise. 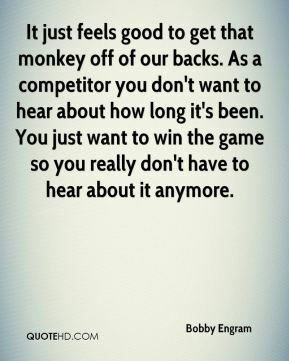 It just feels good to get that monkey off of our backs. As a competitor you don't want to hear about how long it's been. 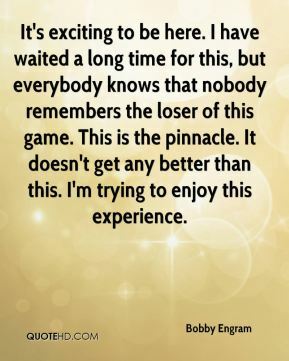 You just want to win the game so you really don't have to hear about it anymore. 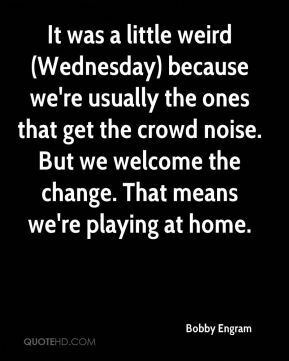 This game will be different from our first playoff game; it would be ridiculous to say anything different. 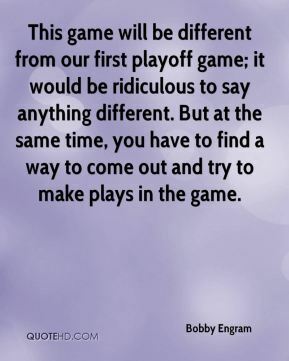 But at the same time, you have to find a way to come out and try to make plays in the game. 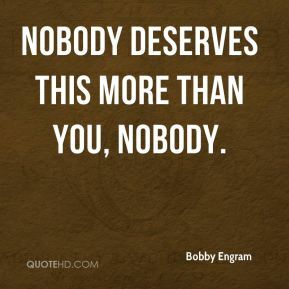 Nobody deserves this more than you, nobody. I've been saying all along, it's not Joe, ... They were playing a lot of young guys during those years they were losing. They didn't have guys who were making plays. Now, they've got great playmakers on offense ... 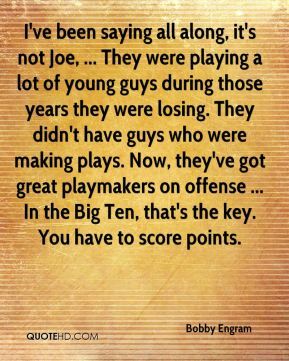 In the Big Ten, that's the key. You have to score points. 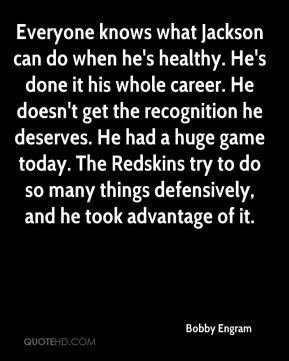 Everyone knows what Jackson can do when he's healthy. He's done it his whole career. He doesn't get the recognition he deserves. He had a huge game today. 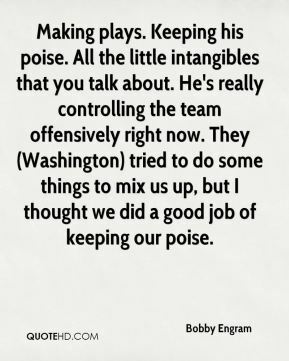 The Redskins try to do so many things defensively, and he took advantage of it. I feel like we can match up against anybody. 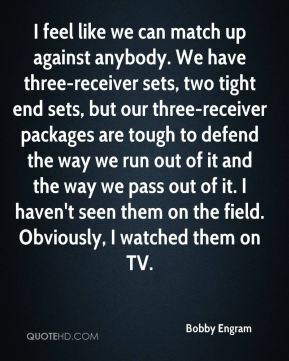 We have three-receiver sets, two tight end sets, but our three-receiver packages are tough to defend the way we run out of it and the way we pass out of it. I haven't seen them on the field. Obviously, I watched them on TV. It was the first time I really got to see him interact with his wife and his daughter. If he picked her up 10 times, he picked her up 100. 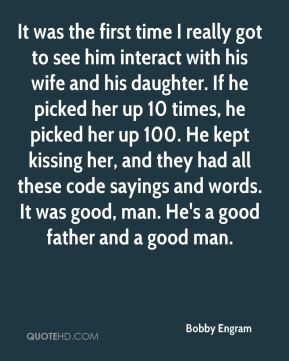 He kept kissing her, and they had all these code sayings and words. It was good, man. He's a good father and a good man. It's exciting to be here. I have waited a long time for this, but everybody knows that nobody remembers the loser of this game. This is the pinnacle. It doesn't get any better than this. I'm trying to enjoy this experience. He's not a rah-rah guy; but if he needs to get his point across, he'll get in your face and he'll say what he needs to say. 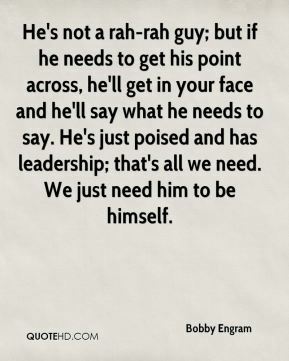 He's just poised and has leadership; that's all we need. We just need him to be himself. 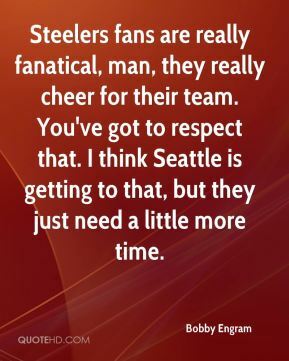 Steelers fans are really fanatical, man, they really cheer for their team. You've got to respect that. I think Seattle is getting to that, but they just need a little more time. He's just earned his stripes. It's been a natural maturation process. 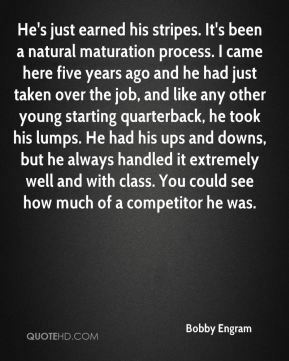 I came here five years ago and he had just taken over the job, and like any other young starting quarterback, he took his lumps. He had his ups and downs, but he always handled it extremely well and with class. You could see how much of a competitor he was. 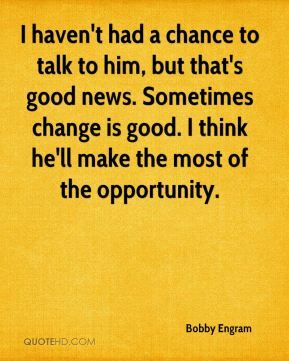 I haven't had a chance to talk to him, but that's good news. Sometimes change is good. I think he'll make the most of the opportunity. We just try and make plays. The coaches do a good job of mixing it up. A lot of times the coverage dictates it. 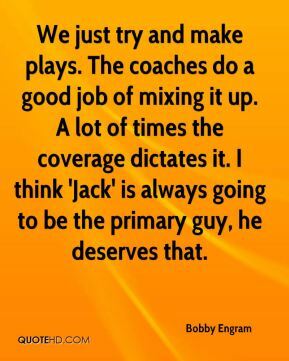 I think 'Jack' is always going to be the primary guy, he deserves that. I'd rather not get popped. I like to get tackled. But it comes with the territory. 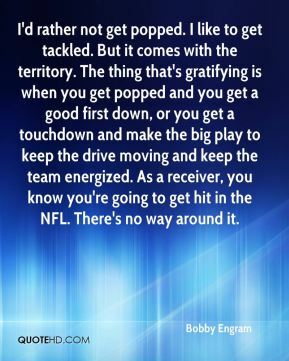 The thing that's gratifying is when you get popped and you get a good first down, or you get a touchdown and make the big play to keep the drive moving and keep the team energized. As a receiver, you know you're going to get hit in the NFL. There's no way around it. 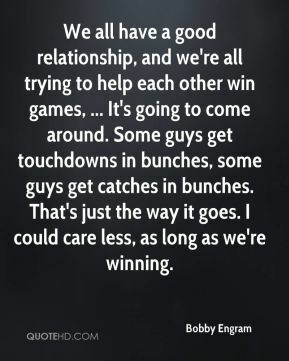 We all have a good relationship, and we're all trying to help each other win games, ... It's going to come around. Some guys get touchdowns in bunches, some guys get catches in bunches. That's just the way it goes. I could care less, as long as we're winning.